An Amber Alert was issued in Missouri after a 15-year-old was abducted in Kansas City, said officials. Brajean Sledge was abducted from her grandfather’s home on Thursday. Police are still searching for her as of Friday. She was abducted after a shooting, and “a juvenile may be in immediate danger as a result of the incident,” according to the AMBER Alert website MissingKids.com. “The suspect, who may be with the party in danger, should be considered armed and dangerous. He is described as a black male between the ages of 18 and 20 years old,” the website said. He was last seen wearing a gray hoodie. KCTV5 reported that the 60-year-old grandfather was shot inside his home on Elmwood and 27th Street. He was taken to a hospital in serious but stable condition. Neighbors said they heard gunfire. Sledge goes by several different aliases, according to KCTV5, including, Brajaean Sledge, Brajean Sweeten, Bre-Shawn, Brayshawn, Brajean, and Rayshawn. It’s not clear why. “We have many many department resources actively searching right now all over the city. 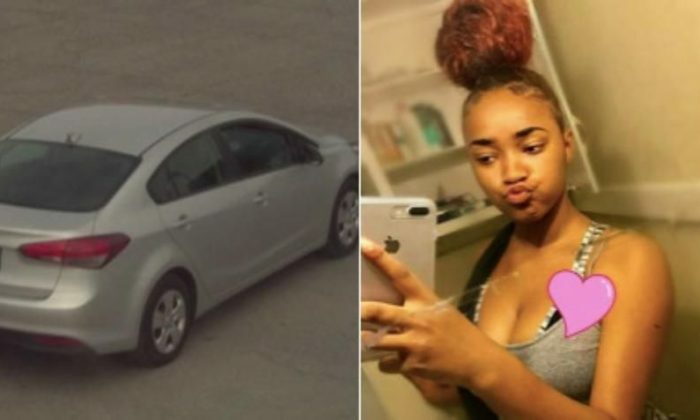 We are utilizing every resource that we have to find this vehicle, the suspect, and this missing girl,” Becchina told KSHB. Police haven’t given further details on the matter. If anyone sees the suspect, victim, or vehicle, they are urged to call 911 right away. Although it’s freely practiced in over 70 countries, doing this in China can lead to unlawful arrest, imprisonment, torture, or even death.